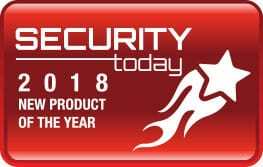 Security Today magazine, the leading industry media brand providing technology, education and solutions for security professionals, and securitytoday.com, the preeminent editorial website for the security industry, announced the winners of the Security Today 2018 New Product of the Year Award today. Security Today has selected the CheckVideo ExpressHD Recorder as the winner of the New Product of the Year Award in the Cameras – Analog category. The CheckVideo ExpressHD Recorder brings advanced Homeland Security grade video analytics, cloud backup and enterprise features to analog systems. 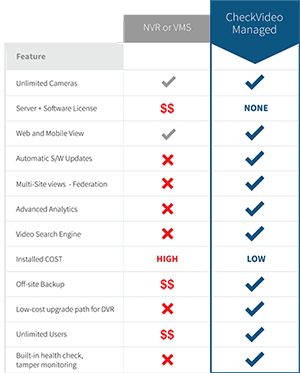 Supporting NTSC, AHD, TVI or CVI cameras, it provides an affordable path to upgrading existing analog CCTV systems to an intelligent, high definition system, without requiring a change to IP. Existing coaxial cabling and power supplies can be resued. Each ExpressHD recorder supports up to 8 channels of HD video at 2 megapixels with included analytics that reduce false alarms by 70% compared to motion detection. An on-board 4TB hard drive is sufficient to record 24×7 at full 1080p for up to 30 days. Since the recorder can re-stream video over RTSP, it effectively converts the analog system to IP without the complexity or expense. It also includes HDMI output for a matrix display, plus automatic cloud backup, all combined into a compact, low-power device. The ExpressHD Recorder provides enterprise features without breaking the budget. Please click here to read more about the 2018 New Product of the Year Awards and the full list of winners.